Pork is one of those tricky meats that can dry out pretty easily if you aren't careful, and one of the best ways to prevent that is to soak it in a delicious brine that enhances the natural flavor and juiciness, as well as adding its own flavors. This has a lot of darker tastes that are perfect for pork like brown sugar, honey, and just enough Worcestershire powder to give it a slightly bitter-rich tint. 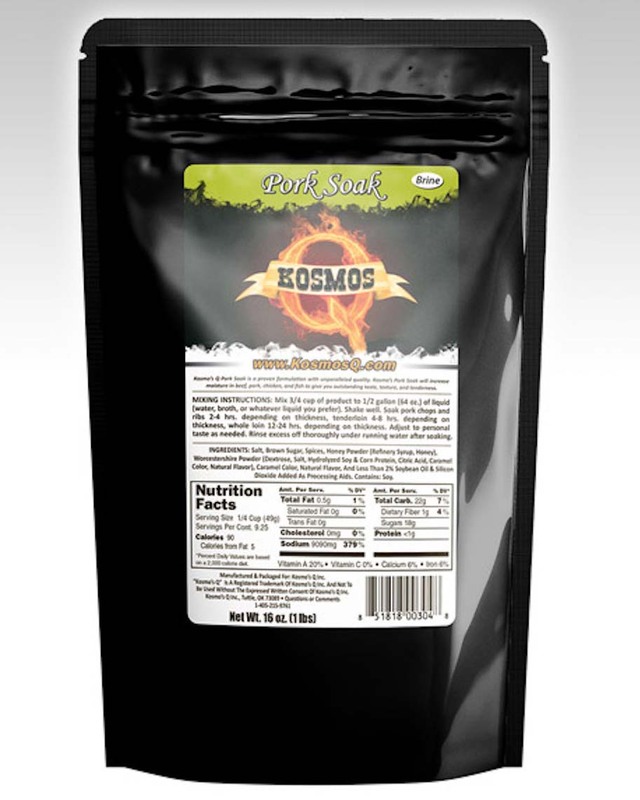 Let ol' Kosmo tenderize that pig for you with the tastiest brine you'll ever use! CONTAINS NO MSG, Gluten Free. 1 pound.